Blade length : 22.0 cm or 8.66 inches. Sori : 0.1 cm or 0.03 inches. Width at the hamachi : 2.24 cm or 0.88 inches. Kasane : 0.55 cm or 0.21 inches. Shape : The blade is regular size healthy blade. Jitetsu :itame hada and mokume hada mixed with jinie attach. 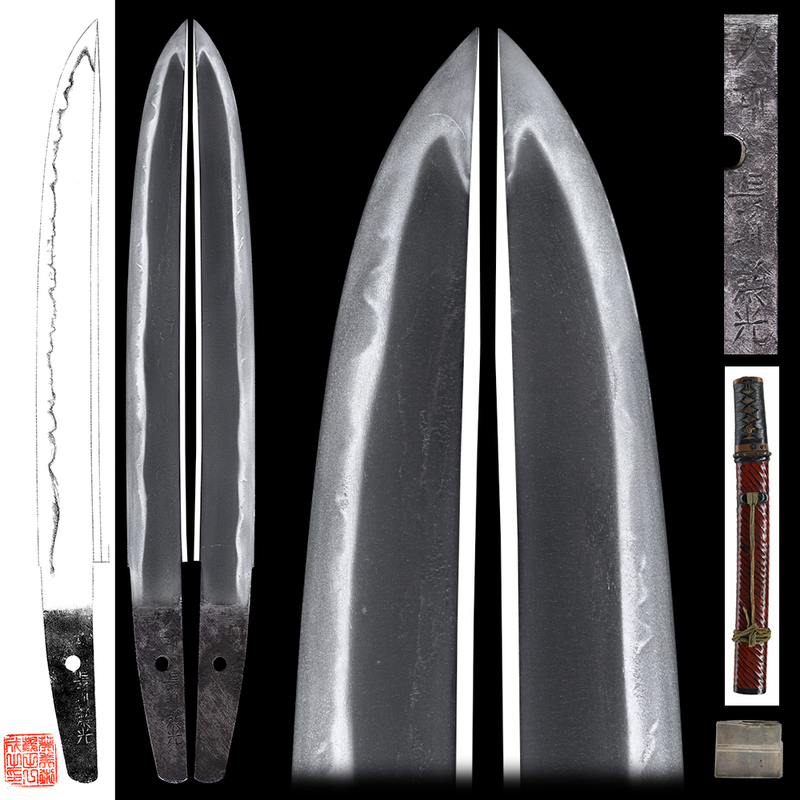 Hamon : Niedeki gunome midare with ashi and togari boshi. 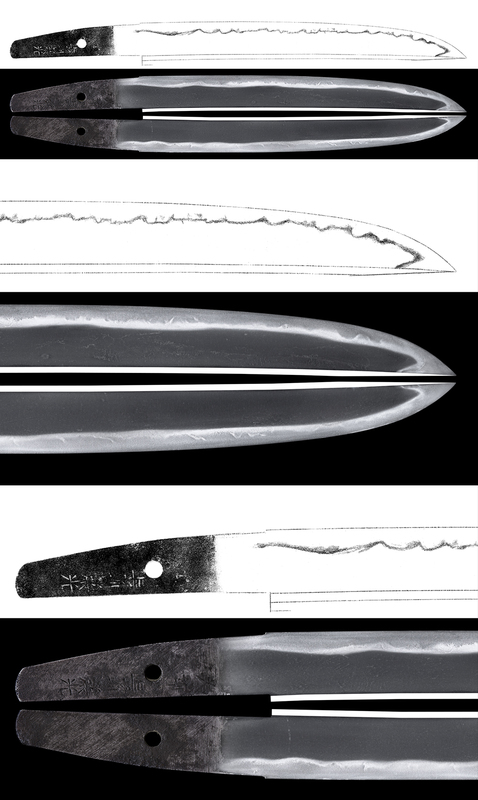 So the blade was made around late Edo oeriod. Fuchikashira :On the copper plate, a family crest is engraved by syakudo plate. Saya : redd color Negoro style with lines are engraved. Kozuka:On the copper plate, Oni syoki are engraved with gold color. The god Onisyoki come from Chinese story. It is well known god who cures sickness. This story come from China and also Japanese people believe this story.